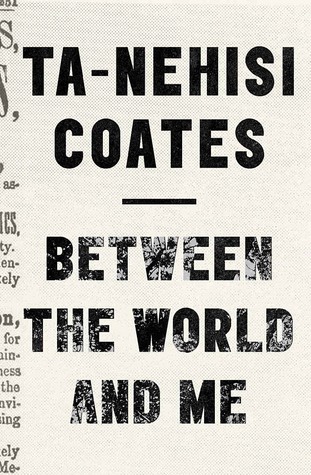 Between the World and Me by Ta-Nehisi Coates. Spiegel & Grau, 2015. Hardcover. 152 pages. The reason I decided to make this a mini-review today is because I feel as if there is not much I can say about this book that would truly do it justice. This is a book that is better read about than told about. It was the breakout bestseller of 2015, and after reading it, I completely understand (and I also now understand also why it took 10+ months to get it from my library's waiting list!). Between the World and Me is a heavy book; it is honest, raw, and will speak to you in ways you likely haven't experienced before. The message I received from this book is a well-versed, carefully laid out version of a lot of the things that I have been hearing from many people - both online and in person - lately. Having everything collected together in this coherent, sincere, and informative book really helped me to understand many of these racial issues better. This book is set up in the form of Coates writing a letter to his son, and I think this makes the entire book that much heavier. This is real, this is life, and this is a must-read. Even if you aren't fully on board with everything you read - that's okay, because it opens up the discussion, and you can introduce this book to your friends and family and explore what Coates is saying together. And did I mention how small this book is? It's just a tiny book, coming in at only 152 pages, and the book itself is a bit shorter than most hardcovers, so it is definitely doable and won't take up much of your time -- but hopefully its contents will stay with you much longer. You have me wanting to give this one another try. I tried to read it last year and just couldn't get very far into it. I wondered at the time if I might like it better as an audiobook. Very thoughtful review. This reminds me a bit of the documentary 13th, probably because I just saw it recently and it was also very heavy and eye opening (I would also recommend it if you haven't seen it yet - it's on Netflix). But the format of this as the author writing to his son - that is stand out, very interesting (and I can see how it would make the book that much more heavy and real). I'll have to check this out sometime (hopefully my library wait is a bit shorter! ).